Note: The book review is written for the Creative Task of the Week – Chapter 1 of The Future of Storytelling, one of the free online courses on Iversity. The Alchemist is the first novel I’ve read by the author Paulo Coelho. I wouldn’t forget this book because I felt like a child again filled with excitement in discovering the world within the pages. It is the time that I trusted myself and the book. We are both embarking on a journey that can end whenever I please. But I had that emotion primarily because the main character is also a child: a boy named Santiago who spent his day as a shepherd looking after a herd of sheep. In an early stage of his life, he has learned to embrace responsibility of other living things. So natural that he became good at it and expect nothing more in life: comfort and safety in familiarity. Then fate found its way to complicate his life. He kept on dreaming about a treasure kept in the pyramids of Egypt. The dream was so persistent that he was convinced of the treasures existence. But it’s not just the allure of the treasure that made him chose the treacherous path. Melchizedek, a king, told him that it is his “Personal Legend” to pursue the treasure, to set out on a journey. The king’s interpretation and counsel makes the path clearer on his growing curiosity devoid of doubt. The boy was about to become a man on his journey leaving his passion for his flock and certainty of life. At first, I thought, I was too old for this youthful theme of magic and young heroes but The Alchemist is more than just an innocent journey of a boy searching for a treasure. Nothing is interesting about the desert. No one wants to travel in this hopeless, lonely face of the Earth. For the first few pages I struggled with the setting and conversation of Santiago with himself. I am eager to find the treasure myself. Is it real? But for the most part I stayed and waited just like a naysayer chanting: this boy will give up at one point. He wouldn’t last. It’s just a dream and the pursuit is a quick break in his routine in the field, so I read on impatiently. As he went on his journey the words “personal legend,” a person’s destiny was emphasized with increasing intensity as Santiago meet people of varying background and personalities in different places. Each has valuable lesson in store for the boy who listened and took things by heart. And within his heart, he found himself loving not only his desire for the treasure but also of a girl named Fatima. Her existence made his travel worthwhile in spite of all the hardships. For a moment, I thought his love is worth more than the treasure and that this might end the journey. I, being a pessimistic, was thought by the shepherd boy, to press on. The journey was far from completion. I have mistaken contentment with purpose. The magical story as I read on gives more pain than mere wonders. It is easier to give up. Go back in the familiar field. This is a typical mindset of grown-ups, including myself, wandering in life and stashing away the “personal legend” out of sight. Santiago revealed the magic of persistence and trust to oneself when he dug the treasure. At last, it’s all over—for the boy. Mine has just started. 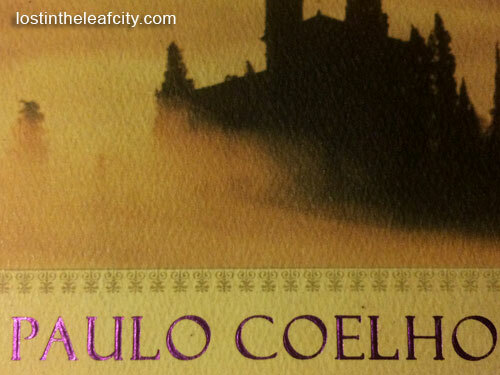 Paulo Coelho takes me all the way back on Santiago’s journey. Everything makes sense. Everything has a purpose: unfortunate events, difficult people, and inevitable changes. My “personal legend” has just started. I knew then I have to leave my flock and start the journey to unknown just like Santiago. I don’t live in either my past or my future. I am interested only in the present. If you can concentrate always on the present, you’ll be a happy man. Life will be a party for you, a grand festival, because life is the moment we’re living now. I can go on sharing quotes from the Alchemist but you should discover it yourself. It’s a lot more meaningful and enjoyable that each reflection makes you stop, as if staring at a marble looking deep within the intricacy of things trap within, so intense you’ll see yourself brimming with beauty, gift, and dreams. You can read more interesting facts. As for myself, I am excited to watch the film adaptation so I suggest you to read it now. Of course, the original always comes out better with the help of your imagination. Have you read the book? Who among the character you like best apart from Santiago?